The only system to make crystal clear Ice in your existing freezer, sized to work with your Craft Ice Press now welcomes the commercial version to the family. 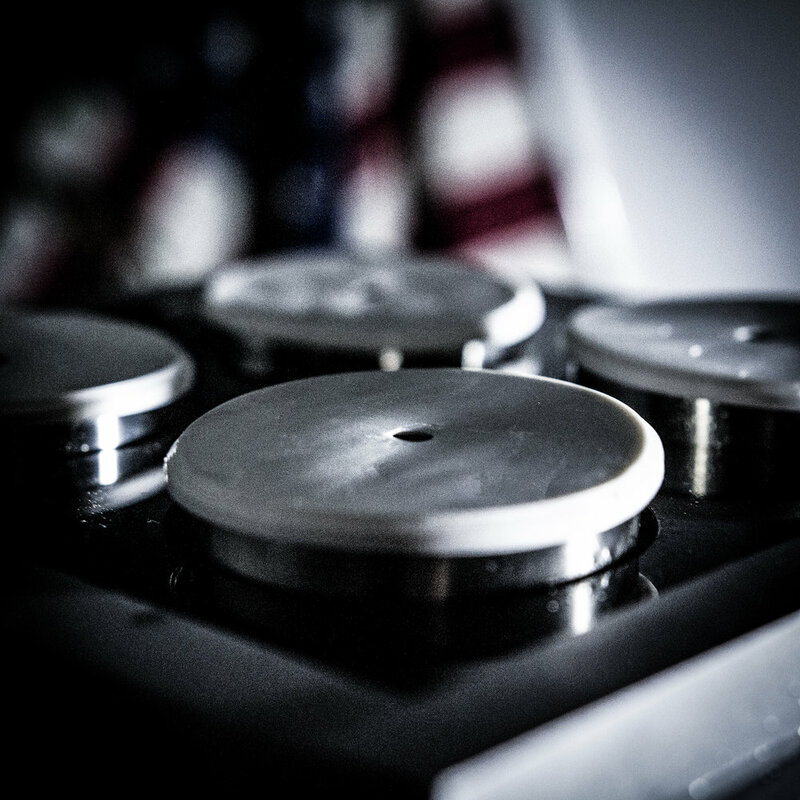 Nearly a year ago, we released the PURUS BETA PROJECT with an unparalleled response from the craft cocktail and spirit aficionado community. The goal was simple, a cost effective, at home solution that provides craft Ice lovers with the crystal clear Ice they coveted, without their Ice EVER touching flavor polluting plastics or silicone. 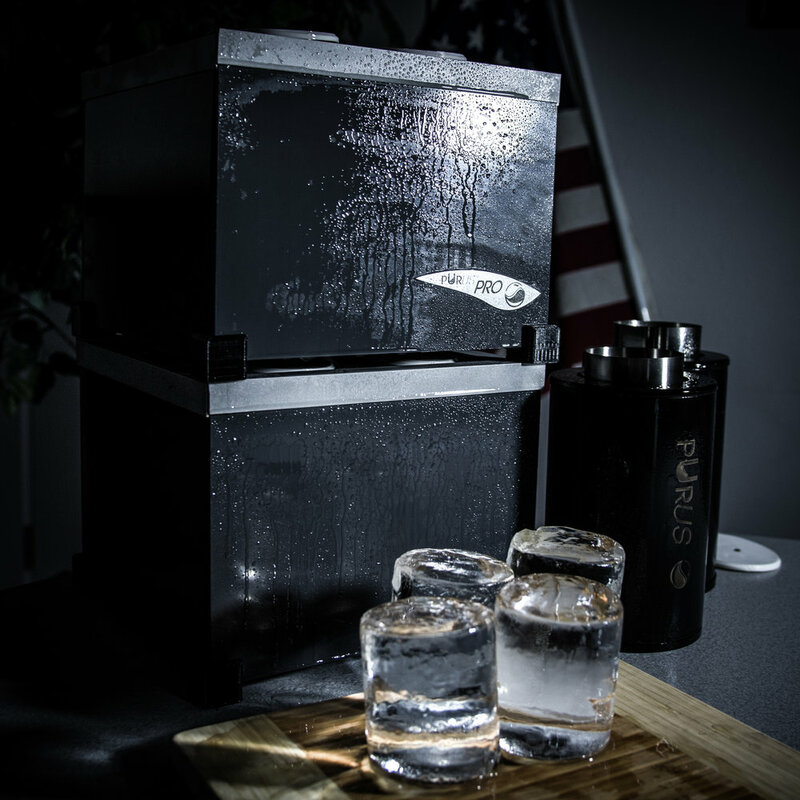 Needless to say, the PURUS BETA was a huge hit, and has since grown up to become the PURUS ONE Clear Ice System. Building from that same technology, we have designed a system perfect for the needs of professional users and extreme home users alike. 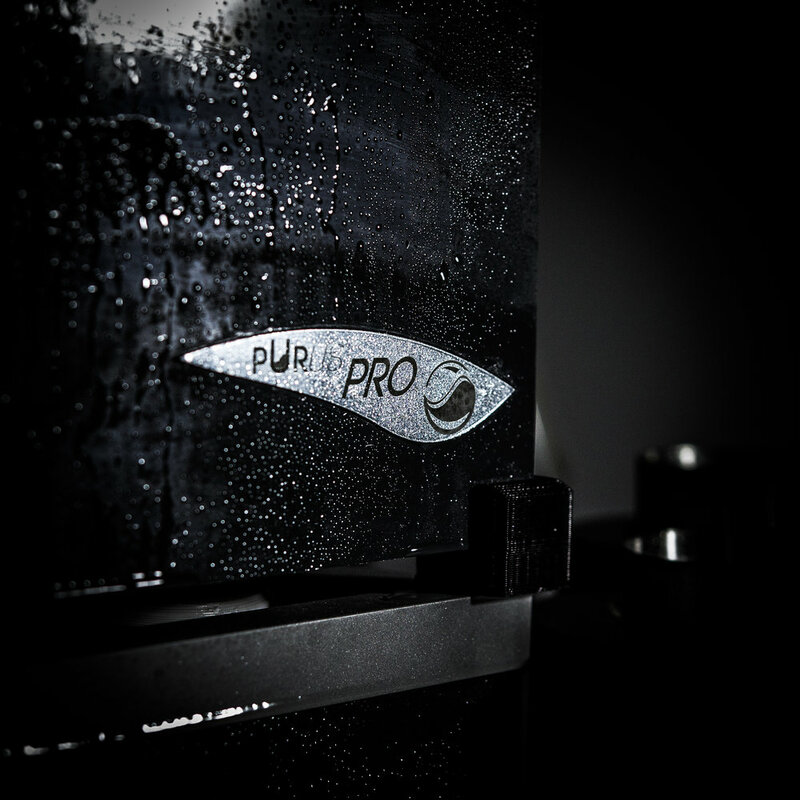 The PURUS PRO uses the same revolutionary technology with four times the Ice output per unit. Plus it is designed to be scaled and stacked for nearly unlimited ice slug potential making it perfect for use in any establishment.